Have you always wanted to run away and join the circus? 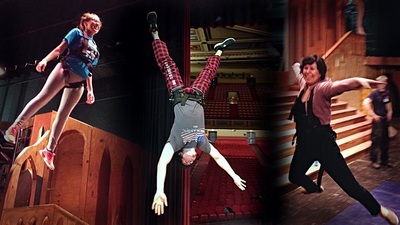 Introductory workshops and classes offered On the FLY Productions (America’s Got Talent, TruTV’s Fake Off), www.ontheflypros.com, give participants a sneak peek into daily training with our FLY Team that perform on stages all over the world such as cruise ships, TV shows, and amusement parks. Participants will learn the secret to success in today’s entertainment world – diversity! 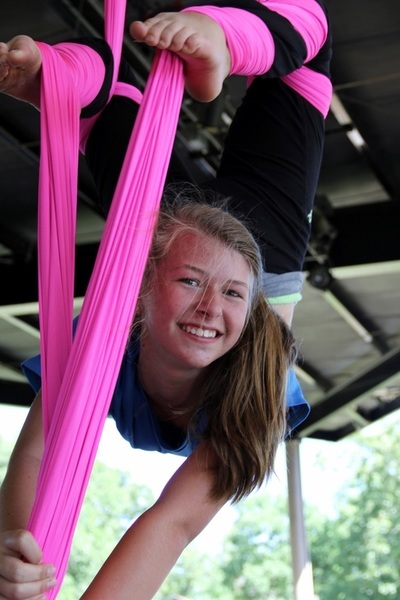 ​Soar to new heights with our highly trained instructors who will lead participants through harness and wire flying, and nouveau cirque (contemporary circus) techniques such as hammock, lyra, and static trapeze. Bust a move with top-notch dancers and choreographers or get your fight on with certified actor combatant instructors. 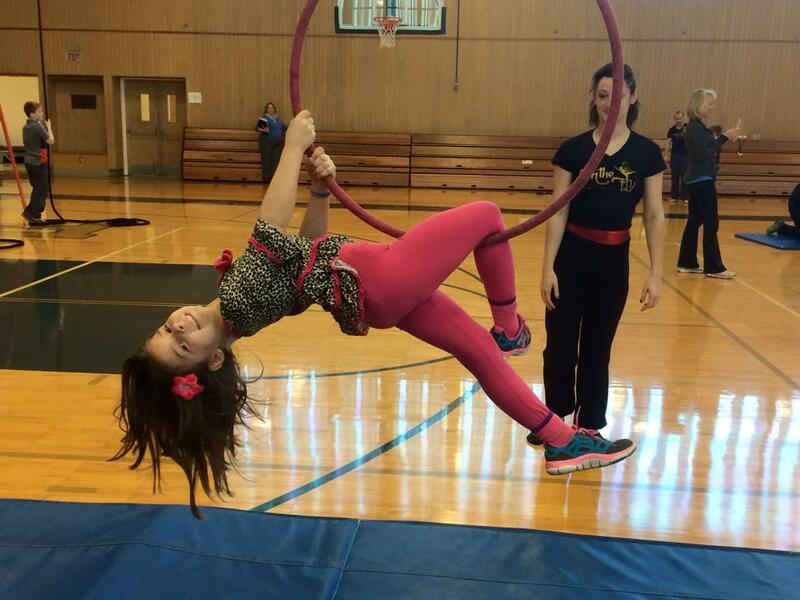 Classes are fun for kids and adults of all ages, performers and theatre technicians! Learn flying techniques and advance through our skill building classes. Join the viral high-energy bungee workout class, get fit and FLY! Join the viral high energy bungee workout class, get fit and FLY! Get all the benefits of a Pilates class – in the air –and a great core workout! 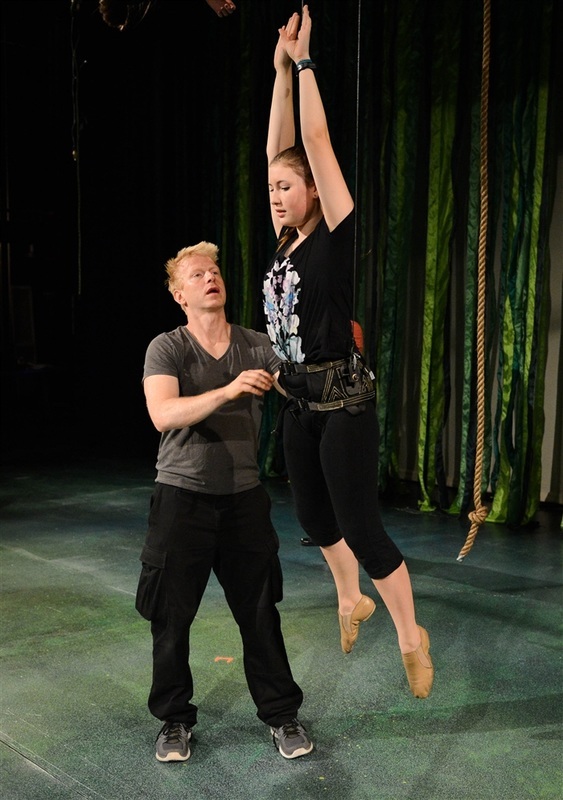 Learn nouveau cirque (contemporary circus) on various apparatus such as hammock, lyra, and static trapeze. Add another dimension to your stage combat scenes by adding performer flying effects. 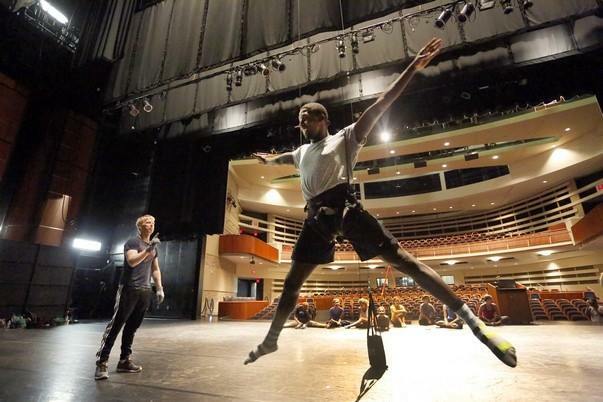 Training for serious dancers that seriously want to fly! Become the ultimate triple threat! On the FLY sponsored Master Classes are a rigorous exploration with industry professionals that will help your career soar and bring you to a new level! Bring your aerial artistry to a new heights by sponsoring On the FLY pros as we train, choreograph, teach, and create with your organization. List of suggested residency shows we have created with other schools and theatre programs. ​An inspirational show that uses contemporary dance, nouveau cirque and flying to ignite your spirit! Explore the wonder of flight. Inspiring, breathtaking, and exciting!